CLEAN TITLE CERTIFIED! Reviews: * If you value the capability of an SUV to handle cargo and rough roads, but appreciate high ratings for safety, fuel-efficiency and driving enjoyment, the Outback wagon is likely the best mix of these virtues on the market. Subaru''s flat boxer engine and all-wheel drive lower the car''s center of gravity, for more stable handling. Source: KBB.com * Spacious interior; excellent visibility; comfortable and composed ride; strong crash scores; commendable off-road performance for a wagon; simple controls on lower trims. 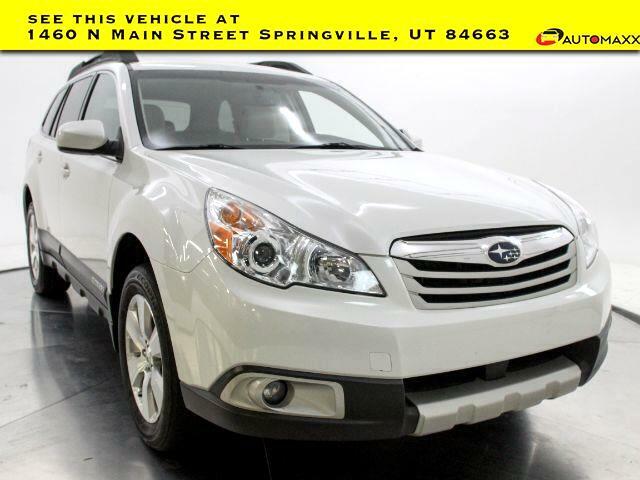 Source: Edmunds 2012 Subaru Outback 3.6R Awards: * ALG Best Residual Value * 2012 IIHS Top Safety Pick * 2012 KBB.com 10 Best Family Cars * 2012 KBB.com Best Resale Value Awards --- www.utahautomaxx.com --- 801-489-0500 . All vehicles include a 1 year warranty!